It is usually assumed that the interior in dark colors is gloomy. In fact, it is not quite true. Rooms in dark colors are extremely attractive as they have such qualities as mystery, magnetism, and, undoubtedly, have their own individual beauty. It is no accident that many designers are sure that the attitude towards black in the interior is, in most cases, biased and represents nothing more than a delusion. Opinions are very diverse on this subject. For example, some people think black color conceals space and also absorbs light and is not suitable for living quarters at all. There is a share of truth in these words, of course, this can not be disagreed. All the matter is only to correctly and competently use this color in an interior that it will not look gloomy. An example is the hospital walls, which are absolutely white and light. However, this does not help them look optimistic and cheerful. In this regard, it’s quite the opposite – if your task is to create a stylish and refined interior, then black color will help you. Of course, you shouldn’t not overdo it. 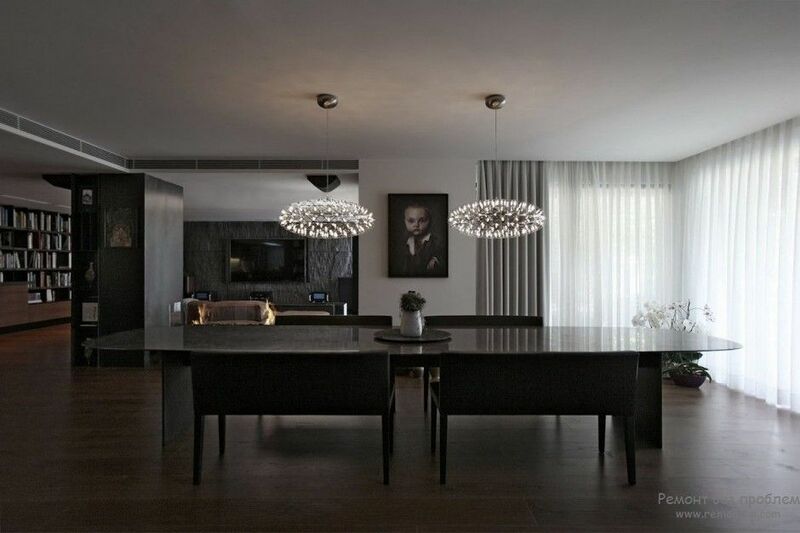 The correct approach is to create a strict and elegant dark interior. Here is all the same as in clothes of black color, which is not necessarily a sign of sorrow and sadness. Rather, on the contrary, it indicates the presence of high taste and unique style. In addition, with black color, any color is perfectly combined. The interior in dark colors will help creating a special atmosphere of mystery and chic in the living room. And if you really have the courage to do it, then do not forget that you need bright accents, correctly placed in a dark interior, because gloomy colors need to be diluted with light and optimistic ones. No less important is the correct lighting. By the way, the creation of a dark interior is possible only if the windows of the living room are large enough and go out to the sunny side, because this interior requires a lot of light for most of the day. 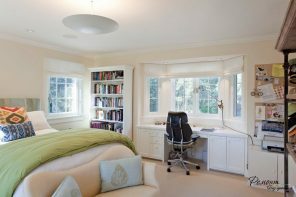 Concerning artificial lighting, you can say the same thing – it should also be a lot, but it should also be well thought out. Separately lit zones look showily. For example, with the help of local lighting fixtures, you can highlight some particular object or simply highlight one or another angle. However, other individual places in the room on the contrary should be hidden. In order to enhance the effect of theatricality in the interior it is good to use smooth and mirror surfaces, as well as various shiny fabrics, objects from crystal, silver and gold. Regarding the optimal proportions for decorating the living room in dark colors, there should be 2 parts of dark and medium shade and one part in light. Dark color is ideal for furniture and flooring, medium tone for walls, and light is ideal for ceiling and accessories. The bedroom, finished in dark, especially in black tones, looks most intriguing, though elegantly and even subtle at the same time. Black color was considered the standard of style, and besides at all times. In this regard, the point of view that black color can only be present in minimal quantities in the interior bedroom is very erroneous. It’s quite the opposite: to create the most attractive and stylish room, black color is needed in large numbers. With proper use of this color, the bedroom can look no worse than the “luxury” room in the famous hotels. And you can achieve this effect if you use richly colored wallpaper, as well as an airy fabric with bright elements to arrange a bed. For example, plush cushions or a backrest of a bed from velvet and also bed-clothes from silk will perfectly fit. Dark wallpaper with an ornament can provide a completely different perception of the interior, add volume to the space. In addition, geometric patterns are now very popular, especially precise patterns – this is a completely new level. The common notion of non-usage of black color also spreads on kitchen. Regarding the kitchen, the delusion is even more pronounced, because we all believe that there must be an atmosphere of purity and light especially. However, the dark kitchen is an unusually original interior decoration. Dark kitchens are conditionally divided into two types: Scandinavian and minimalistic. In the style of minimalism, usually there are many reflective smooth surfaces, as well as, chrome parts. And in the second case – the presence of wooden furniture, covered with stains and an abundance of objects in the rustic style. 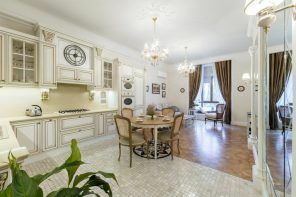 As for lighting, usually the kitchens in dark colors are equipped with industrial and rather massive lamps. Also, the presence of variegated shades in the interior, for example, the color of fuchsia, turquoise or terracotta – all this is wonderfully combined with the main dark and deep range of the interior. We can give the same advice regarding to the bathroom, as well as all other rooms. 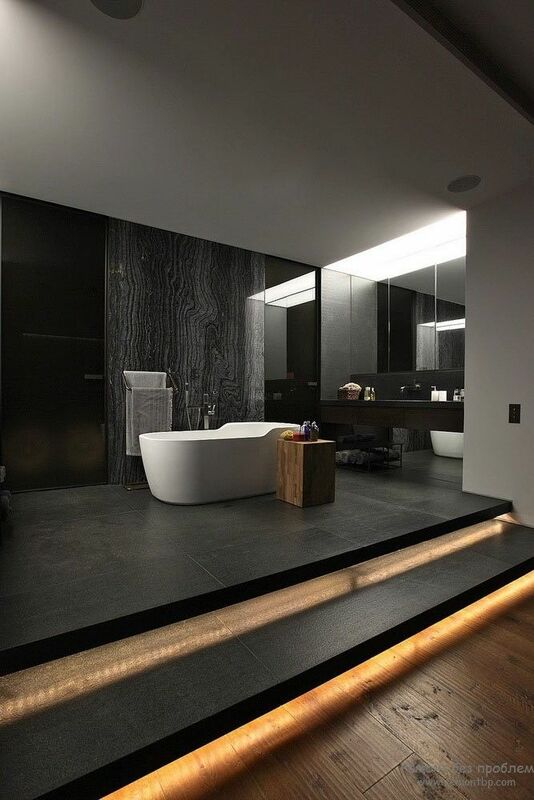 The idea of dark interior should be completely abandoned if the bathroom completely deprived of natural light. In this case, designers usually combine artificial and natural light, as well as ceiling and wall light. 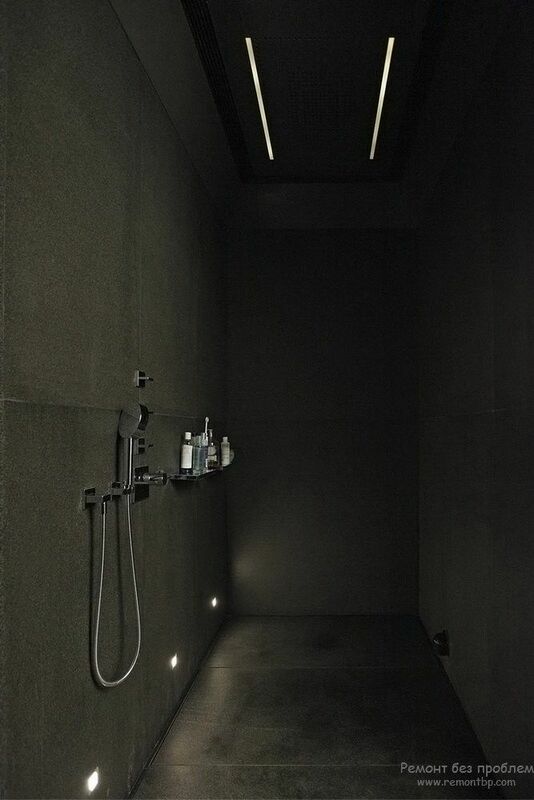 The design of the bathroom in dark colors should be subtle. Here the sense of proportion is very important and literally every detail. For example, walls with a pattern in the form of thin longitudinal rectangles visually increase the space. 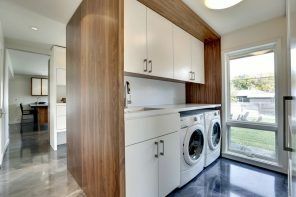 The presence of elegant modern plumbing is preferred. And if you tile the bath itself in the same way as the walls, you will get complete harmony. In general, the presence of black color in the bathroom always gives it unusual and exclusive, turning it into a very stylish room. The most relevant trend now is the combination of white and black, and thus: the inside of the objects is white, and the outer side is black. Concerning living quarters, black is most recommended for walls. It is also necessary that in such an interior there should be at least one colored or white piece of furniture. If there are several, it will be just an ideal option. In addition, it is recommended the presence of light or bright accessories and textiles. The combination of black and white is considered the most daring and original. You can make another move – it’s a black floor, which will also be very noble and stylish look. By the way, this decision is gaining increasing popularity for today. And the black ceiling is a much more daring design decision and even a little risky, because in this situation the height of the room can visually decrease, and also, the black ceiling can capture all attention to itself. However, if you make a mirror or glossy stretch ceiling, the effect will turn out quite the reverse, because such surfaces have an excellent reflectivity.